Norm (Albert Norman Benedict) Amadio was born in Timmins, Ont. on April 14th , 1928. He studied piano first with the Grey Nuns in Timmins, then with Boris Berlin at The Royal Conservatory of Music in Toronto. 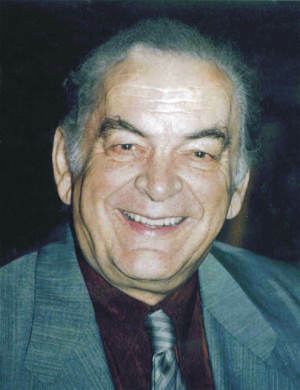 Norm became a prominent figure in the creation of Toronto's jazz scene from 1947 right through to today. He played in all the after hour coffee houses, the leading bars and lounges as well as major hotels. His groups ranged from a trio to a forty piece orchestra. At the O'Keefe Centre, he backed Judy Garland, Paul Anka, Engelbert Humperdinck and The Supremes. Norm has appeared with Peggy Lee, Eddie Fisher, Donald O'Connor, The Coasters, Mel Torme, Joe Williams, Anita O'Day, Carmen Macrea, Dakota Stanton, Maxine Sullivan, Peter Noone, Bobby Rydell and Fabian. He has worked with world famous American jazz stars Miles Davis, Stan Getz, Lester Young, Coleman Hawkins, Zoot Simms, Roy Eldridge, Maynard Ferguson, Clark Terry, Al Hirt, and Red Norvo. He has also worked with well known Canadian jazz artists Rob McConnell, Moe Koffman, Guido Basso, Ed Bickert, Jimmy Galloway, Hagood Hardy, Peter Appleyard, Don Thompson, Jack Long, and Herbie Spanier. He played in the TV Series "Hit Parade", "The Wayne & Shuster Hour", "Swing Gently", 'The Juliette Show", "Music Hop", "Take 30", "Tommy Ambrose Show", "Nashville Swing", and "Jazzaza". His 40 piece Norman Amadio Orchestra performed the two hour live CBC TV Special: "100 Years Of Canada". In other CBC TV Specials, he performed with Jackie & Roy, Robert Goulet, Mel Torme, Al Hirt, Steve Lawrence, Buddy Rich, Barbara McNair, Maynard Ferguson, Henri Mancini and Nelson Riddle.